(CCCB Release– Ottawa)... The Most Reverend Maurice Couture, S.V., Archbishop Emeritus of Québec, died on 19 January 2018 at the Saint-François-d'Assise Hospital in Québec at the age of 91. After 12 years as Archbishop of the Archdiocese of Québec, he had submitted his resignation to the Holy Father upon reaching the age of 75, as required by the Code of Canon Law, and which was accepted on 14 November 2002. Archbishop Couture was born on 3 November 1926 in Saint-Pierre-de-Broughton, Québec. He was ordained a priest in 1951 as a member of the Religious of Saint Vincent de Paul. After serving as Provincial Superior of the Canadian province of the Religious of Saint Vincent de Paul (1970-1976) and then as the General Superior of all his religious congregation (1976-1982), he was named Auxiliary Bishop of Québec on 17 July 1982. On 7 December 1988, he was appointed Bishop of the Diocese of Baie-Comeau, and on 17 March 1990 became Archbishop of Québec and Primate of Canada. As a member of the Canadian Conference of Catholic Bishops (CCCB), Archbishop Couture served on the former French Sector Commission for Social Communications (1983-1985), as Chairman of what was then the French Sector Commission for Liturgy (1985-1991), on the Permanent Council (1990-2002), the former Commission for Social Affairs (1989-1993), and as Chairman of the French Sector video foundation, the Fondation canadienne de la vidéo religieuse (1991-2003). In 1994, he was a CCCB delegate to the IX Ordinary General Assembly of the Synod of Bishops on The Consecrated Life and Its Role in the Church and in the World. Archbishop Couture as well served as Bishop ponens with the movement La Vie Montante (2006-2012). 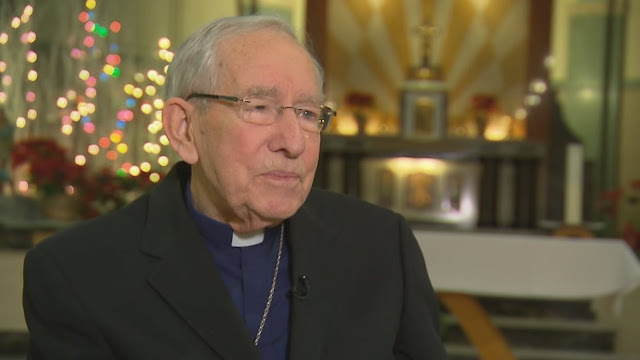 From 1993 to 1995 he was President of the Assembly of Quebec Catholic Bishops. His body will lie in state in the Church of Sainte-Angèle in the parish of Saint-Malo on 4 February, from 1:00 pm to 9:30 pm. The next day, 5 February, his remains will be transferred to the Cathedral Basilica of Notre-Dame, Québec, where there will be Morning Prayer at 7:40 am followed by Mass celebrated by the chapter of diocesan canons at 8:00 am. The funeral Mass will be presided by His Eminence Gérald Cyprien Cardinal Lacroix, Archbishop of Québec and Primate of Canada, on 5 February at 2:00 pm in the Cathedral Basilica.